You may have noticed that Skype seems to embed itself into Internet Explorer, Firefox and Chrome. It recognises contacts and phone numbers in the page and provides the ability to call them. I believe people will expect this kind of functionality in conventional windows applications also. 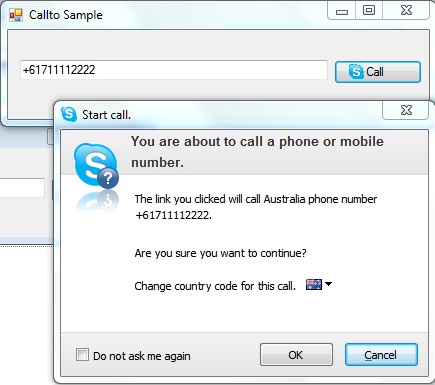 To assist with this I created a little class that will not only allow calls, but allows a check for the existence of a skype and give the ability to extract the calling applications icon. The form has a textbox and button. One load, the call button is enabled and give an image. The button makes the call.
''' 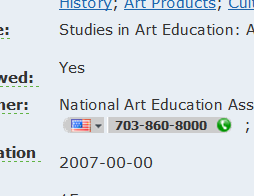 Gets a value indicating whether this CallTo is enabled.